Stay in Algarve's best hotels! Crowne Plaza is situated in Vilamoura's centre just a few minutes' walk from the Marina and 10 minutes’ drive from 5 golf courses. The tastefully decorated rooms have furnished sea-view balconies. Location- it is right on the beach with direct access through a private entrance . Spa - very good pool, steam and many treatment / massage options . Super breakfast . Foot was great overall . All food we had was well prepared . Excellent service all around . Hotel da Rocha provides immediate access to Praia Da Rocha Beach. It features suites with a contemporary design offering beach or land views. Location! Real sea view! 100 % clean! Ideal bed, calmness and sielnce. Surrounded by large gardens, this hotel offers a free shuttle service to Falesia Beach, a 5-minute drive away. It has indoor and outdoor pools and a hot tub. The staff was super polite and helpful, the breakfast and dinner were amazing, the room was very clean and spacious and overall it was a wonderful experience. Highly recommended! Situated on a quiet square and overlooking a park, the Loulé Jardim offers rooms with a flat-screen TV and free Wi-Fi. There is a rooftop pool with a sun terrace. Great, very friendly, and helpful staff at the reception; easy to talk to and very accommodating. It was so great to get free parking as well. Great location to surrounding beaches, pretty town, and easy access to great restaurants :) The swimming pool was an extra bonus. Would stay here again and would recommend to firends/family. Situated in the picturesque town of Carvoeiro, overlooking Vale Covo, the renovated 5-star Tivoli Carvoeiro offers high standards of quality, ideal for family holidays and memorable events. The location of the property on the cliff at Carvoeiro, the astonishingly beautiful view of the ocean and private sea cove, the grounds and pool, the newly refurbished room, the small touches such as complimentary slippers, and the attitude and service of reception and other personnel were of the highest level. TUI BLUE Falesia - Adults Only is a 4-star property set in Olhos de Água, facing the beach. With an outdoor swimming pool, the 4-star hotel has air-conditioned rooms with free WiFi. Beautiful room overlooking the pool and ocean, comfortable bed and yummy buffet breakfasts and dinners available with heaps of variety. Plenty of free parking out the front. Set in Lagos, Lagos Atlantic Hotel offers 3-star accommodation with an outdoor swimming pool and barbecue facilities. 1.9 km from Dona Ana Beach, the hotel features a garden and a shared lounge. Detailed welcome and comfortable bed. Caring staff. Spotless. Hotel Cidade de Olhão is set in the Olhão city centre, in the Algarve Region. The Hotel offers an outdoor pool and a sun terrace, where guests can relax and enjoy a drink from the on-site bar. A lovely modern clean and quiet hotel . Offering an outdoor swimming pool, Hotel 3k Faro Aeroporto is located in Faro. Free WiFi access is available. This is a fabulous airport hotel, 10 minutes walk from the airport. 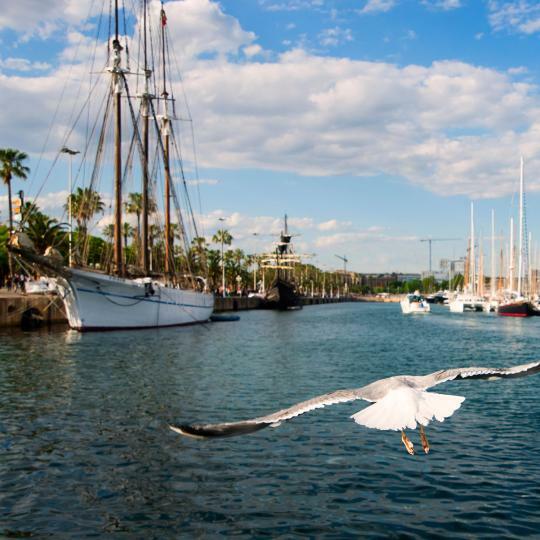 The 4-star Água Riverside is located in Ferragudo and features a private marina and beautiful views of the Arade River. It offers indoor and outdoor swimming pools. Great rooms with river views from the balcony. Staff friendly and helpful. Overlooking the sea, Sao Rafael Atlantico is an ultra modern 5-star complex with direct and private access to São Rafael Beach. Excellent hotel. Highly recommend it to everybody. Located 2 km from the centre of Faro and 3 km from Faro Airport, Ibis Faro features an outdoor pool. It is 6 km away from the sunny beaches of Algarve. Perfect hotel even it was outside Faro but still everythnig was amazing. The 4-star Vila Gale is a luxury resort located right on the Lagos seafront, along the sandy Meia Praia Beach and a 5-minute drive from Lagos Marina. The hotel had everything we were looking for. Set in a Mediterranean pinewood facing the Atlantic, this design hotel offers accommodation with massage facilities. It features an outdoor pool and has direct access to a beach only 400 metres away. Very clean, modern hotel, great staff and great location! Faultless! With its panoramic views of the Atlantic Ocean, Dom Jose Beach Hotel is situated directly on Quarteira's beach and offers modern rooms with flat-screen TVs. There is an outdoor pool. Everyone at the hotel was friendly and helpful and English is well spoken. Costa d'Oiro Ambiance Village offers the Mediterranean architecture of villas, gardens, terraces and swimming pools spread throughout. It is 300 metres from Lagos’ Dona Ana Beach. Excellent staff who were very helpful, the studio was perfect for my wife, son and myself. Located in Porches, Algarve, this spa resort features panoramic Atlantic Ocean views and has direct beach access. It also has 2 restaurants, outdoor and indoor pools and a gym. Lovely resort on the coast of Portugal. Wake up to a stunning vista of the sea. Located in Albufeira, Algarve, the 5-star Grande Real Santa Eulalia Resort & Hotel Spa features direct access to the Santa Eulália Beach, 4 outdoor swimming pools plus 3 for children and a... I loved the flaky croissants of course. Located in downtown Faro just a 5-minute walk from the train station and the bus terminal, this modern hotel overlooks the old town, marina and the Ria Formosa Natural Park. The restaurant was superb. Excellent breakfast, so much to choose from and everything fresh. Situated on the banks of the Ria Formosa, in the centre of Tavira, Vila Galé Tavira offers elegant rooms with a private balcony. Facilities include an outdoor pool and a spa. Pool is great and close to beach! Just a few metres away from Marina Beach and the Vilamoura Marina, the Vila Gale Ampalius is a 4-star hotel in sunny Algarve. Facilities include an outdoor pool, a health club, and a tennis court. We liked everything about the stay, unfortunately too short. Located in the surroundings of the prime golf destination of Quinta do Lago, The Magnolia Hotel features an outdoor pool, free WiFi and is just 4 km from Garrão Beach. Stayed in one of the two bedroom cottages.We liked that it was spotlessly clean. Known as Portugal's top summer destination, the Algarve has scenic and popular beaches such as Falésia, Rocha and Montegordo. 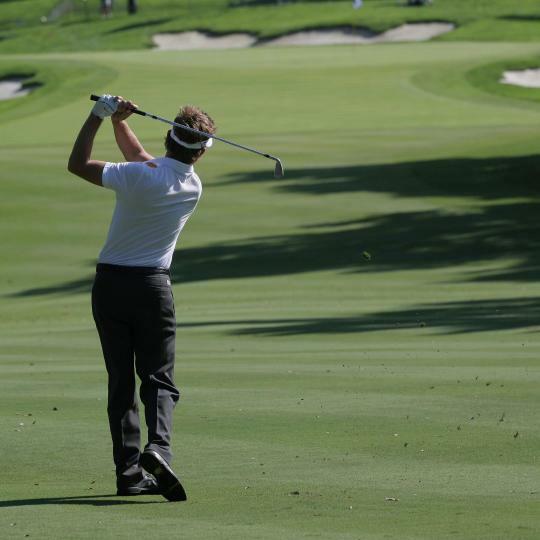 The Algarve has some of the best golf courses in all of Portugal, attracting golfing enthusiasts from around the world. 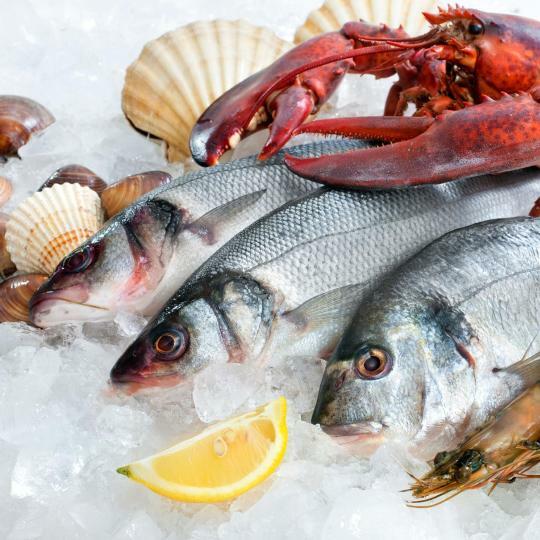 Olhão and Tavira are among the best destinations for those in search of local delicacies. 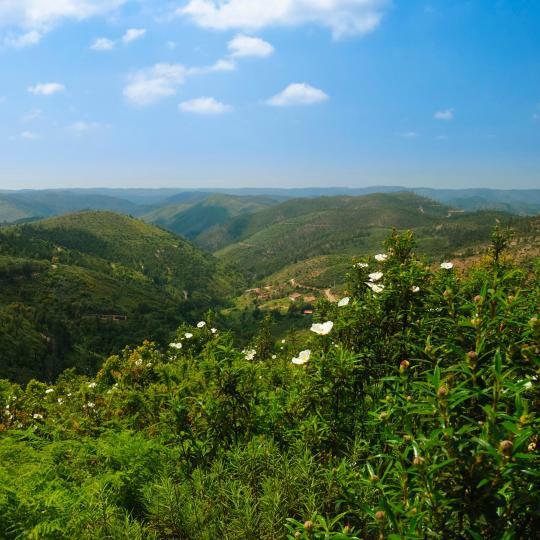 The mountain areas of Monchique and Caldeirão offer scenic footpaths enjoyed regularly by tourists and locals alike. Cape São Vicente in Sagres is Europe's most south-westerly point. Sagres is especially popular for its water sports. 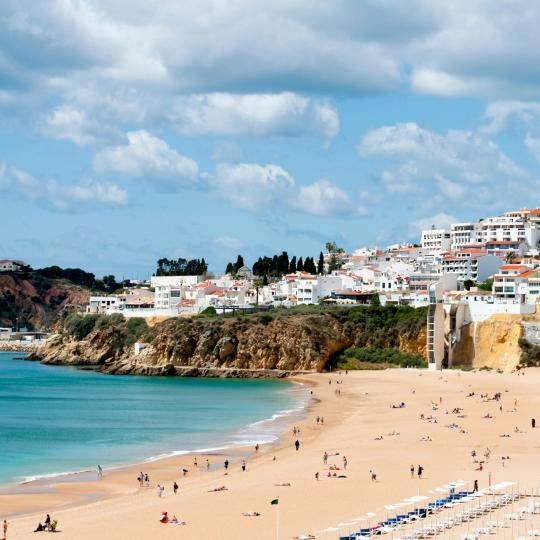 Albufeira's Old Town area is near the beach and has a wide range of bars, restaurants and souvenir shops. The trendy Vilamoura tourist resort has lively nightlife spots, bars, a marina, beaches, golf courses and a casino. The Ria Formosa lagoon is surrounded by a national park. Boat tours and hiking are popular in the area. This state-of-the-art venue hosts international competitions at its racetrack, karting and off-road paths, making it a must for motorsports enthusiasts. 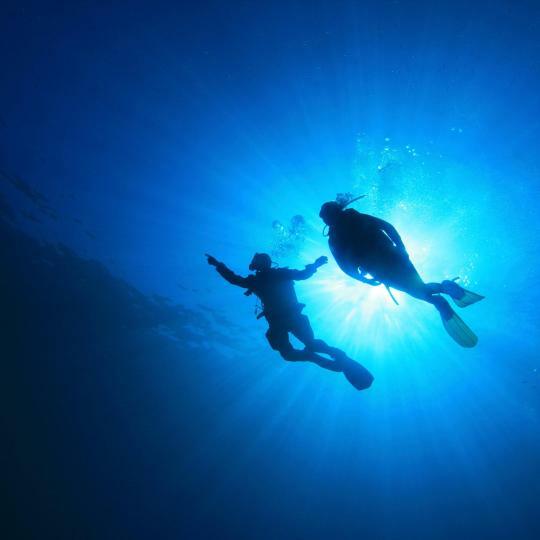 Scuba diving is among the most common touristic activities off the Algarve’s coastline. A paradise of yellow sandstone cliffs and turquoise waters that's full of green golf courses and seasoned with delicious food and rich history, the Algarve region in Portugal has lively spots, quiet corners, and inland areas that well deserve a visit. From the banks of the Ria Formosa lagoon in the east, to the high cliffs of Sagres on the southwest tip of Europe, the region is a great option for a sunny holiday and Booking.com will help you find the best hotels in the Algarve. The name of this Portuguese region comes from the Arabic Al-Gharb, meaning ‘The West’, but before being part of the Moorish empire, it was inhabited by ancient tribes, and successively by Phoenicians, Carthaginians, Romans, and Visigoths. When it officially became part of Portugal, it gained fame as a centre for trade. The beautiful city of Lagos still offers a picturesque and colourful historic centre that recalls its important position in the area. Flying into Faro Airport puts the whole region at your fingertips. The best all-inclusive hotels in the Algarve include their own golf course, an activity very popular in this region. If you just want sea and sun, then keep an eye on our deals for the best beach hotels in the Algarve. Quarteira is a hiddem gem of the algarve. Quarteira is a hiddem gem of the algarve. With everything you need, so beautiful and relaxing. The party is not too far away either, just a taxi ride away. The people were so friendly and always happy to help. I cant wait to go back! Our favorite place was the balcony overlooking the ocean and lovely grounds. Arriving after much travel and too many meetings we enjoyed breakfast buffet and two nights of room service dinner. It was a beautiful room at San Rafael Atlantico and the menu and service were great. We thoroughly enjoyed the gorgeous spa. All staff were super friendly and helpful. After recouperating we managed to book a cave/dolphin tour. I honestly think all the vendors are nice and they all go to the same place. Any of them will provide a good few hours of entertainment even if you are not lucky enough to see dolphins. We enjoyed the ambiance at the Marina afterward. One server was perfectly brilliant to suggest that instead of 2 glasses of Vino Vehrde before our boat trip we buy a bottle and save the second half for the return-behind their bar. A grand solution for tourists and establishments. We found each restaurant we visited to be friendly and serving excellent food and wine. It is easy to get around. Next time we will rent a car because the cabs can take a while. There is nothing we would avoid and we do plan to return to the Algarve and Albufeira for a more detailed look around (and take better notes on the restaurants. Only thing to avoid is arriving at the train station to early and not checking the estimated arrival times of the trains frequently. We enjoyed our visit to the train station area but it is not something to do again for that long. We think the old town was probably quite charming 30 years ago or so... it is now a mass tourism hub for the entire Algarve region. Will not be going back. The beautiful scenery all around. The beautiful scenery all around. Great walks, especially the official PR walking routes. Lovely to drive around and explore. Nice to not be in crowded resorts in Algarve. Some nice local restaurants. Just love Praia de Falésia, lunch at the restaurant on the beach has been a favourite for many years. Good supermarkets and pharmacy outlets. Really enjoy a variety of restaurants, if I want to venture out at night. Vibrant marina to enjoy drinks and good food but not too expensive. Option to eat and shop in more typical locations and experience the real Algarve! Been going there for many years , still beautifully kept , will keep going back ! You’ll need a car ! Not cheap , best place to eat Chicken Shack (Marufos) best chicken Piri piri in Algarve ! Tavira is a quaint, unspoilt city. Tavira is a quaint, unspoilt city. 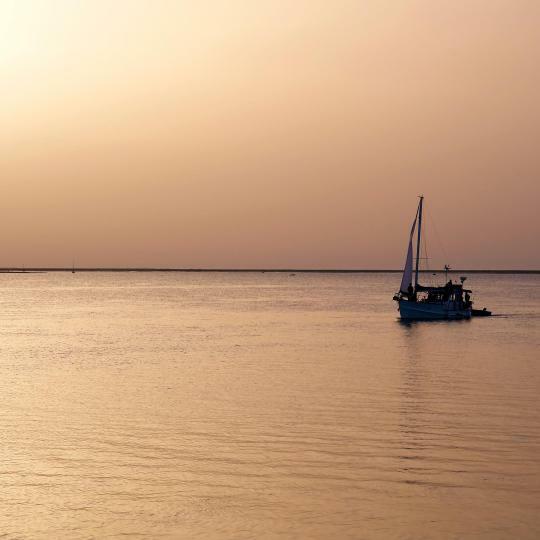 In the summer months (April to October), access to Tavira Island can be made by a cheap 15 minute boat trip directly from the city centre. It's an ideal setting for a family/over thirties group of tourists, wanting an interesting, relaxing holiday. Many great restaurants to eat out at a relative cheap cost. A must place to visit in the Algarve. The fantastic,annual midnight firework display on the break of the 24th June is not to be missed! Algarve is a beautiful region of Portugal, but when you get to this hotel, you will wish to stay inside the whole time. Such a beautiful place, with nice pools, astonishing views over the beach and great food. The rooms have been refurbished recently and count with a luxurious bed and bathroom with a glass wall (really fancy). Walkable distance to city centre (around 10 minutes) and plenty of restaurants surrounding it. The views from the bedroom's balcony are astonishing. Would definitely come back. had an unforgettable stay, not one problem. Ourabay ain't no half-arsed apartment business with hidden downsides, it's all excellent and pleasant. Portuguese staff seemed super friendly, like their reputation is. Was provided with lots of information and activity ideas upon arrival. Would rate them a solid 11 out of 10 for smooth (early) check in and possibility for payment on the premise. Maybe may only nitpick would be that if you sit on the balcony you look straight into the bright Algarve sun. Our stay was excelent! The apartment was amazing. The view was fabulos ( room 633 block 6). The ladies from the reception were extremely kind and help us to change the room at our request with one to a superior floor. Special thanks to the cleaning stuff. The room was very clean and every day we had new towels. The pool, the bar and the restaurant are excelent! The breakfast was plenty and various. 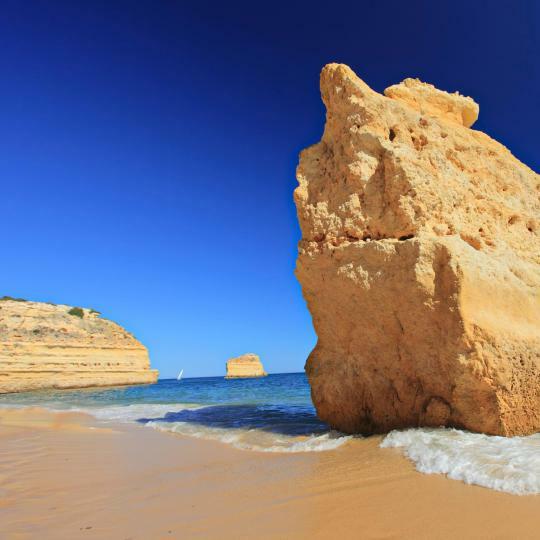 The Falesia beach is one of the best beaches in Algarve. 3HB Falesia Garden is an excelent choise. EXCEPTIONAL hotel, one of the best in Algarve if not in whole country. Just so good that I am out of words. You have to experience it to believe it. The room (apartment) was new and exceptionally well made! I really hard to expect more. As good as it gets. SPA is amazing too. I travel the world and seven seas and it's one of the best ones. Outstanding area with restaurants and the ocean is very close to the main pool as well. Easy to walk around even if you have no car. We have stayed in Olhao several times at hotels and apartments near the front, so it gave us a great new area to explore. The Avineda has some great little cafes an bars. 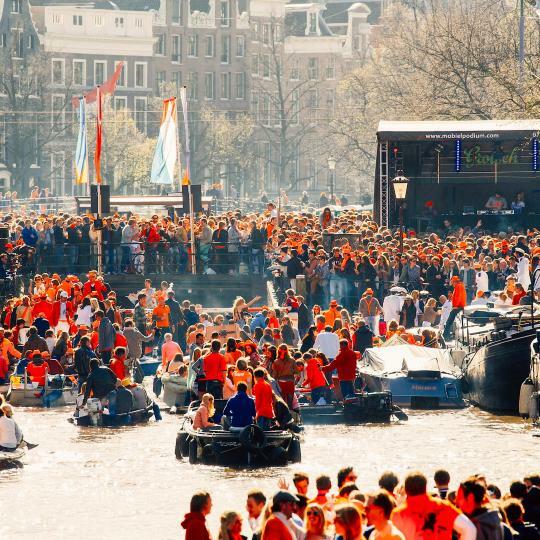 and it is only a 10 minutes walk to the front and the ferries. 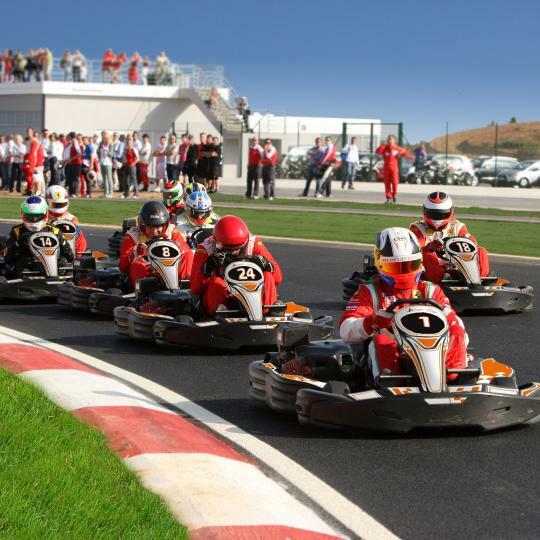 the Algarve outlet is just around the corner so we were able to try out go carting. on our last night there there was a kids dance festival on just in front of it. my son spent three days around the pool before we had to go to the beach bat Armona. We have been going to Olhao for 6 years and have always stayed at the hotel or apartments. The great thing about the hotel are the staff, Miriam the maître d'hôtel was very charming and helpful with information of the Algarve, as was the lovely Maria one of the poolside waitresses. Our bed maid Vanessa did a brilliant job each day along with her colleagues to have our room look fresh each of the 14 days we spent in the suite. Horta Grande is one of the best hostels I have ever stayed in. It is in the perfect location for exploring the Algarve part of Portugal (so I highly recommend having a car), being a place where you can get some rest away from the tourists and enjoying the view on Silves from the terrace. The owner gave us lots of useful tips and overall staying there feels a bit like being a part of another family. It was a great experience. It's a hotel with some privately owned apartments.Our host heldar was there to meet us when we arrived, we found him so helpful regards places to see,eat and shop he made our first time in the algarve so smooth sailing. The location is perfect not too far from everywhere but not too close where you don't get the quiet.we had a car which helped instead of too much walking with the babies( 2 under 2). The position of the AppartHotel is really nice. It is located close to a quite village with a sandy beach and you have ocean view from the apartments of the first floor. It is also a perfect starting point to visit the southern part of Costa Vicentina and the western part of the Algarve. The flat complex has also two nice pools in the internal court. The staff is really firendly and helpful. This ia an excellent hotel, the staff are very helpful and the room has everything you need. It is like a small apartment rather than just a room. The balcony is lovely, the bathroom has everything you need and so has the kitchen. It is at a crossroads so it is very handy to visit the beaches and the west of the Algarve and has a supermarket just next to it and restaurants are close by. my wife and I have been going to Portugal for over 25 years and I have say this is one of the best hotels we have stayed at on the Algarve the staff are 1st class nothing is to much trouble food is 1st class too the rooms are spotless and cleaned every day have booked for later in the year. Definitely the best hotel I stayed in during my trip to Algarve. Staff is great and very helpful. Everything is clean - showers, room, toilets, kitchen. Beds are very comfy - there is no way you can go wrong with this hostel. Great location, lovely apartment and really easy to communicate with the management. Rita from Algarve Lifestyle was brilliant and resolved our only issue really quickly.